Crikey readers discuss Bill Shorten's emissions policy, and the orphans of Australian Islamic State fighters. What will happen to the orphans of Australia’s Islamic State fighters? A confluence of factors has meant that the past four years have seen the development of a police state in Australia aimed at punishing dissent. But ultimate responsibility lies with voters. Good morning, early birds. Islamic State loses its foothold in Syria, and Coalition conservatives hatch a plan to delay a marriage equality vote in parliament. Plus, activist group GetUp has released pictures and video from inside the Manus detention centre. It's the news you need to know, with Max Chalmers. Good morning, early birds. The next COAG "meeting" is shaping up to be more of an all-in brawl after Labor state governments announced their acute displeasure with Malcolm Turnbull's new energy plan, and the Yes vote is pulling ahead. It's the news you need to know, with Max Chalmers. 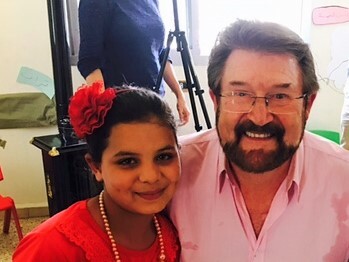 The area Derryn Hinch was in is on the Australian government's official no-go list for tourists, but he was there as part of a parliamentary delegation with Save the Children. Yes, Joko Widodo's decree against hardline Islamic groups is about stamping out terror-linked organisations. But it's also about saving his own political arse. Malcolm Turnbull -- or, at the very least, his own Foreign Minister Julie Bishop -- is signing up as a paid supporter of the country that effectively funded al-Qaeda and IS. Should we worry about Syria? Islamic State? Qatar? Saudi Arabia? Yes, but that does not mean total war is imminent.